It’s good to be armed with a 70-mph fastball and a sick knuckleball! Just ask baseball pitcher Mo’ne Davis, who made history with a precious arm and her cool demeanor in the 2014 Little League World Series (LLWS). 1. Mo’ne Davis plays with the boys. 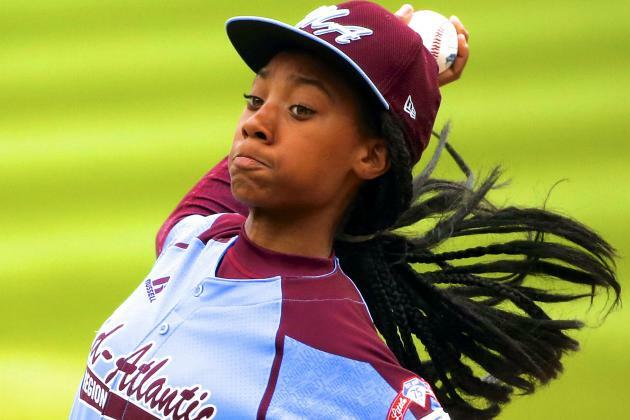 At 13 years of age, this fab phenom became the first female in the 68-year history of the LLWS to throw a complete game shutout…and the first African-American girl to participate on an all-boys league! Inspired by Mo’ne Davis, more girls are flocking to join Little League…. 2. Mo’ne Davis is a triple threat. Now 14, her exemplary play and enthusiastic interviews have catapulted this well-rounded athlete—she also has mad skills in basketball and soccer!—to a whole new level. It’s reported that the Harlem Globetrotters exhibition team has signed Mo’ne Davis to play with them after she graduates college. January 20, 2016 in GO GIRL.